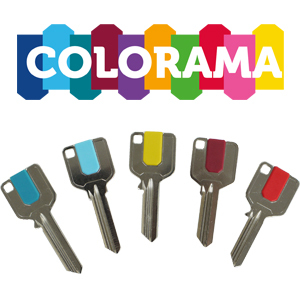 Our brand new and revolutionary Colorama key blanks add a touch of colour to your customer’s key ring, allowing them to quickly identify specific keys. 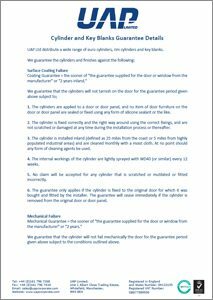 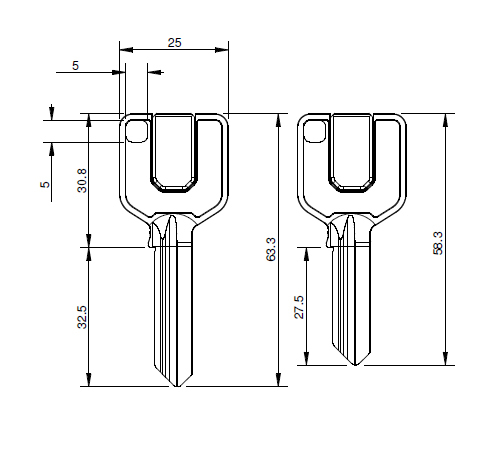 Available for the Kinetica 3 star Kitemarked and the UAP+ 1 star Kitemarked cylinders, the plastic insert simply clips onto the key’s easy to operate square head. 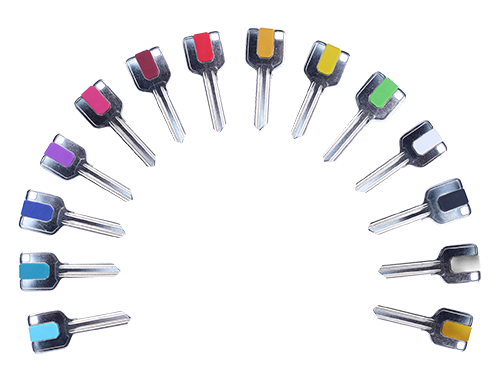 The Colorama key clips allow you to quickly and cheaply laser engrave your company logo or contacts details on to each key. 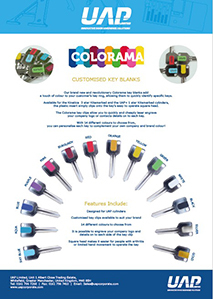 With 14 different colours to choose from, you can personalise each key to complement your own company and brand colour!